It’s likely on your checklist right alongside tuning up the snow blower, draining the gas from the lawnmower, and getting the winter togs out of the closet. And if stocking up on wood is not on your list, it should be. Erasmus said, “When I have a little money I buy books… and if I have any left I buy food and clothes.” Substitute “wood” for “books” and this describes me exactly. Last week I made the first of what will be several trips to my supplier to stock up for winter. On the long drive, I tuned in to an all news station and listened, again, to rosy reports on the economy, a surging stock market, still-lower unemployment numbers, and no inflation. I was emotionally uplifted by the time I arrived, but my delusions were summarily dashed when I realized that lumber prices had shot up since my last visit. Okay, the rules of supply and demand are safe, but the premise under which I was operating was all wrong. There is a shortage of lumber, but not because the demand is high; it is because people who own stands of timber are holding off selling their trees until prices go up… at least around here. One thing I learned from moving around the country is that all lumber pricing, like all politics, is local. Where you live the economy may be better, and perhaps a surge in construction is driving hardwood lumber prices higher. 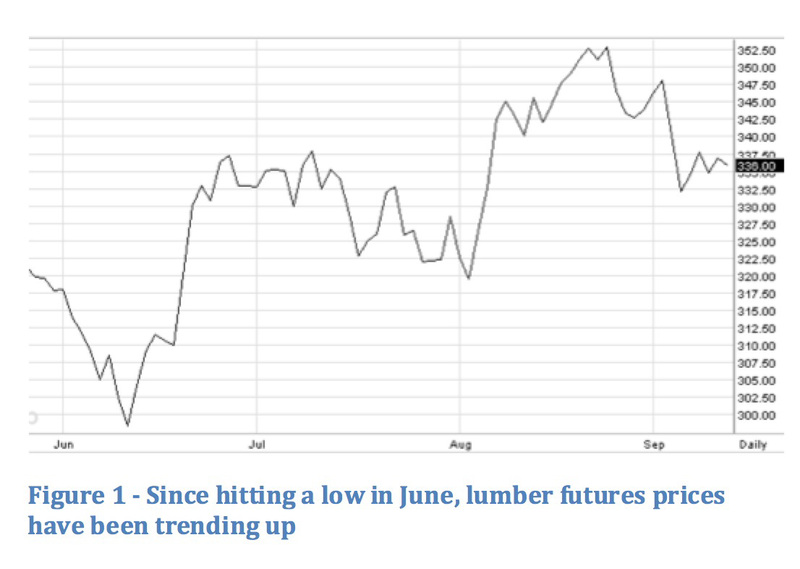 Whatever the reasons, the consensus (and futures contracts) agree, lumber prices are going up. As we all get ready for a winter of shop time and furniture building, now might be a good time to stock up on the one thing we all need for woodworking… more wood! Not all lumber pricing is local. We are in the process of building a house in Minnesota and all our lumber is sourced from western Canada. Our cost has risen about 10% due to the recent wild fires in Alberta and the high demand for lumber to replace thousands of destroyed residential and commercial buildings. 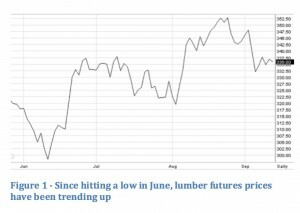 Likewise, severe storms this summer throughout the mid-west, south and far west USA undoubtedly will have an impact on the price of lumber. In our own state there is a general building boom and the demand for material is high. One of our contractors turns down two or three bid requests weekly.